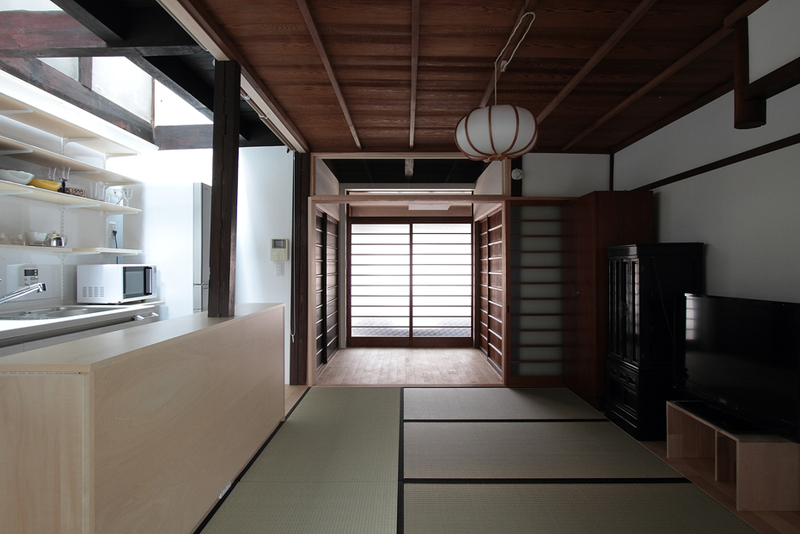 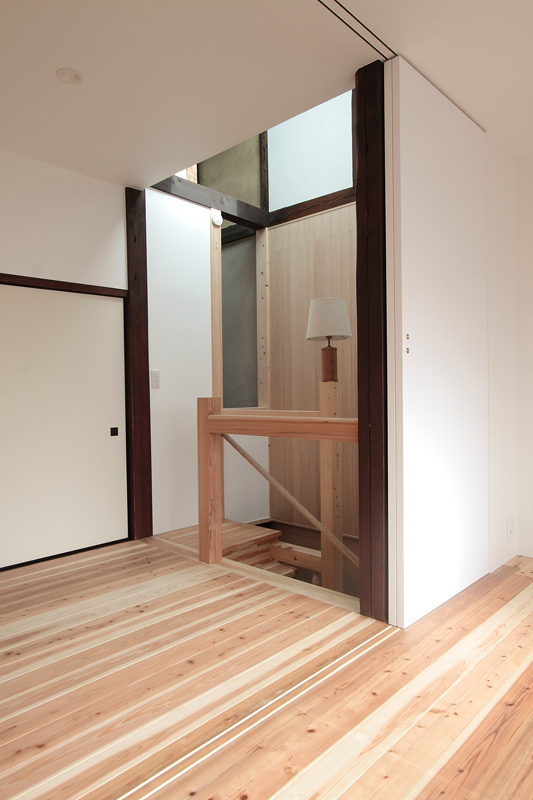 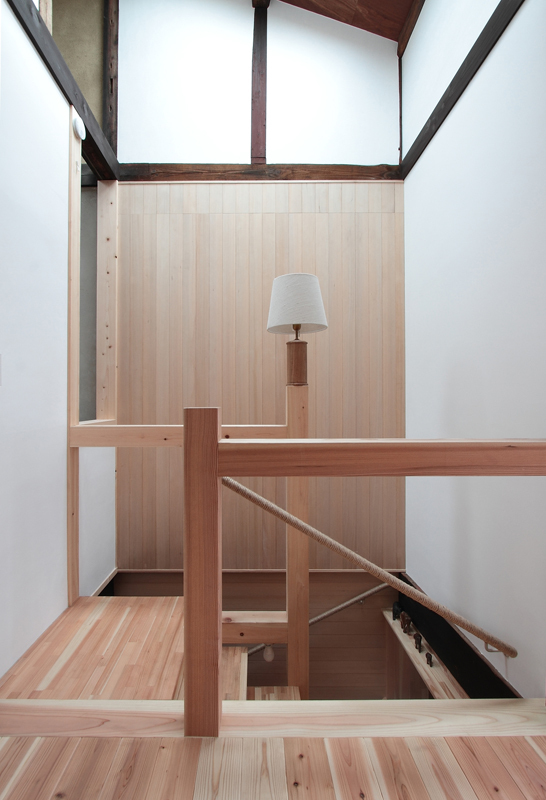 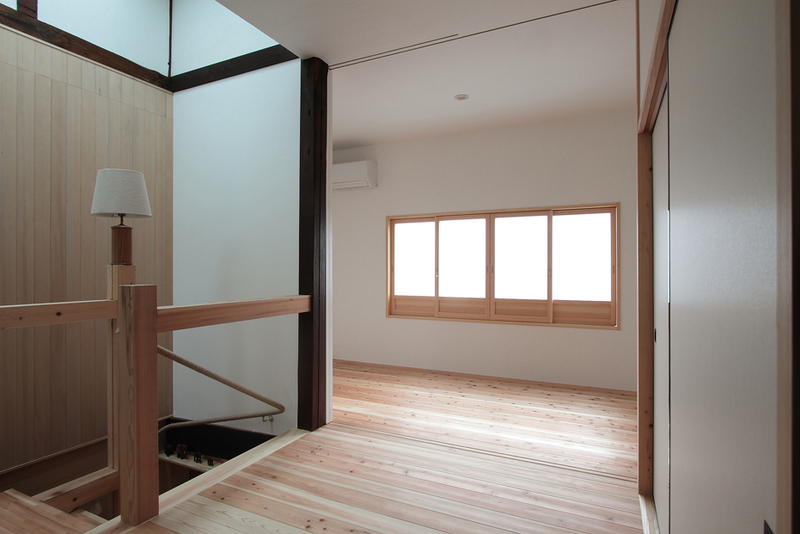 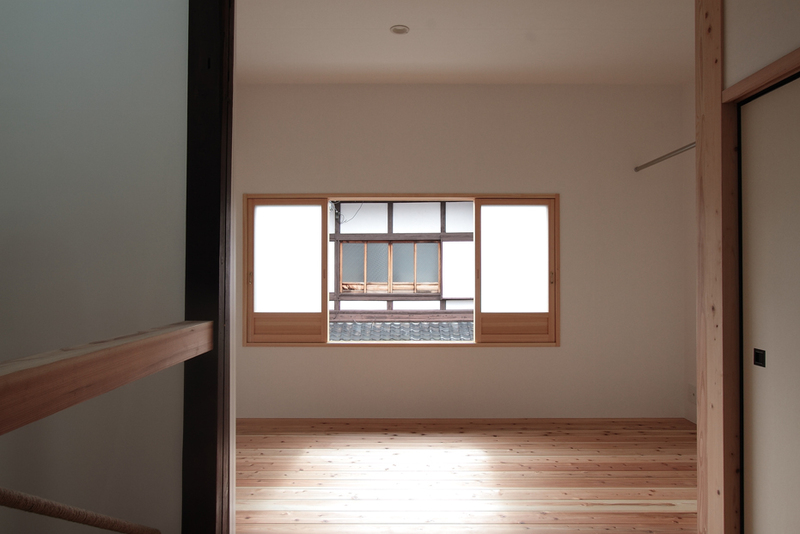 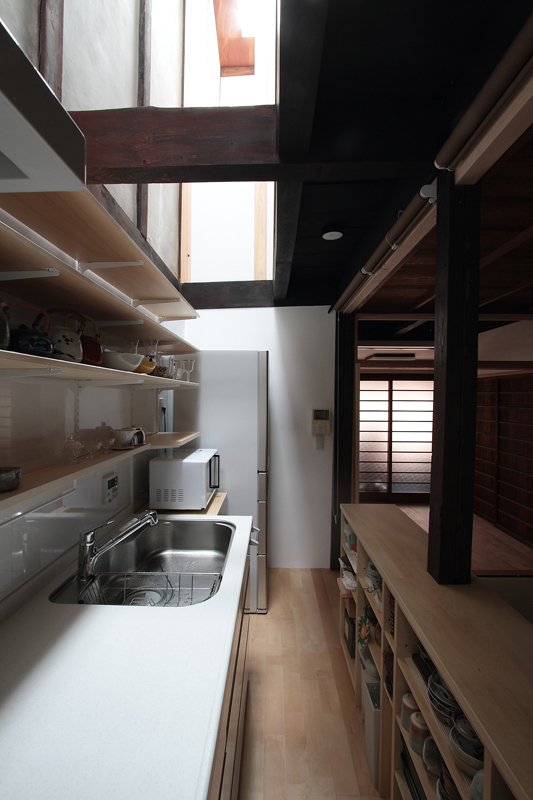 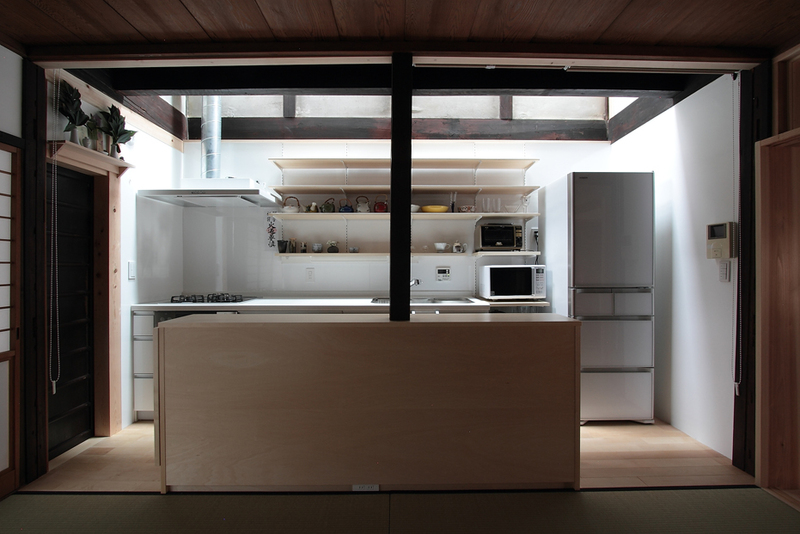 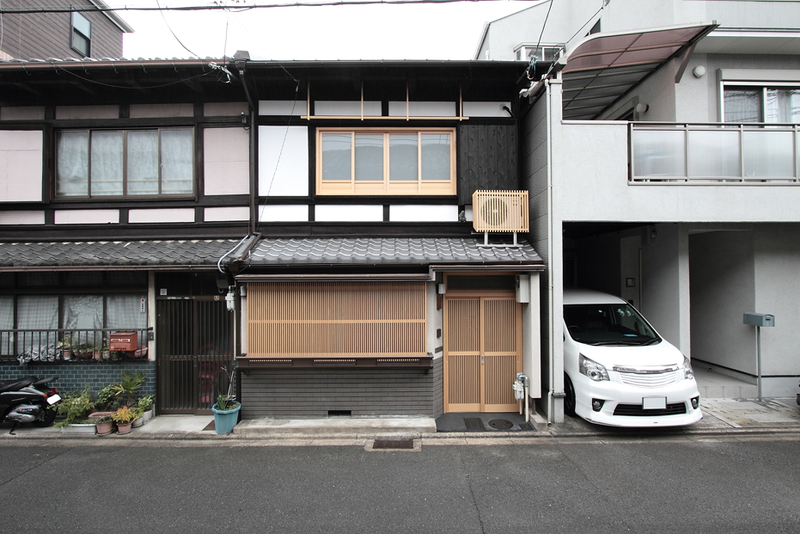 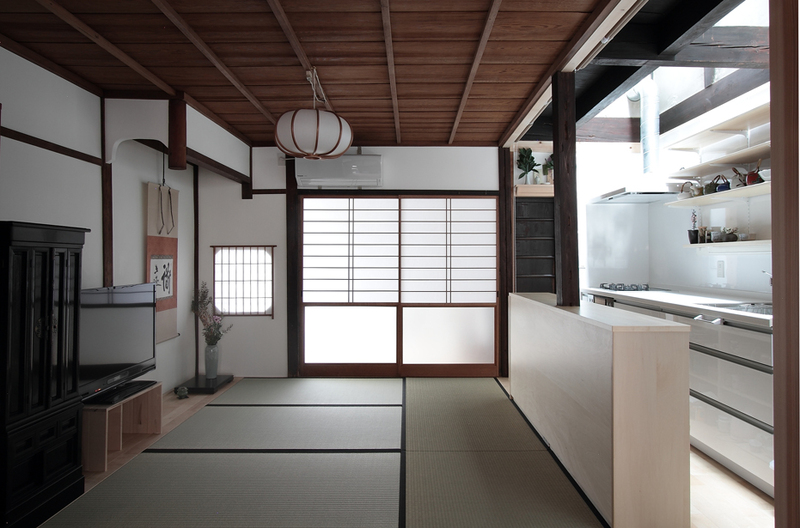 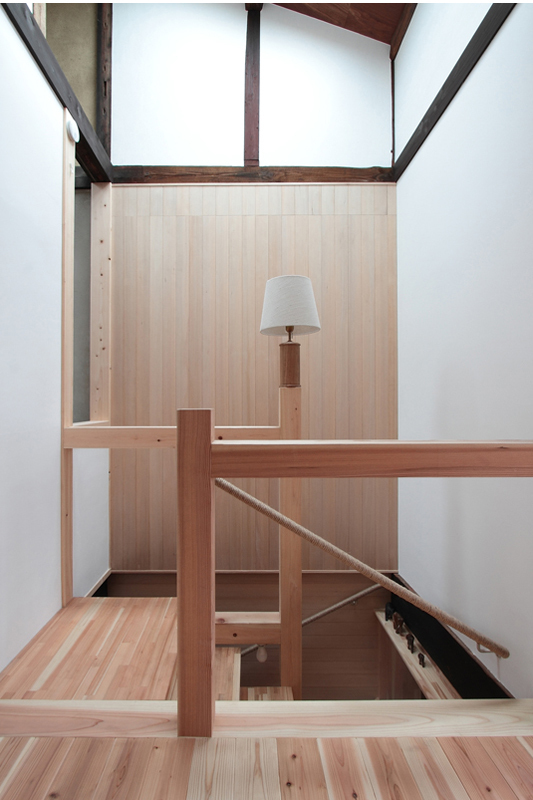 A refurbishment project for a Japanese traditional townhouse called “Machiya” which was built 70 years ago. 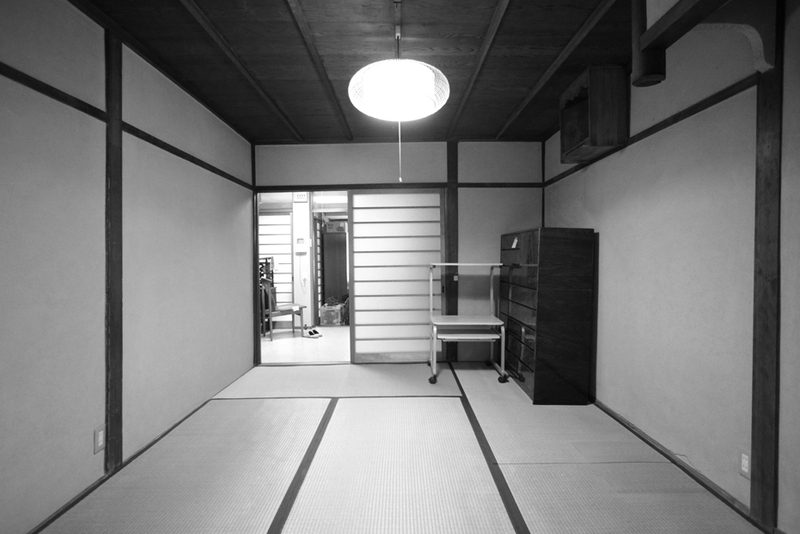 Originally in the house there was a pathway called “Tori-doma”, which had been raised from ground level and refurbished few times already to accommodate water equipments. 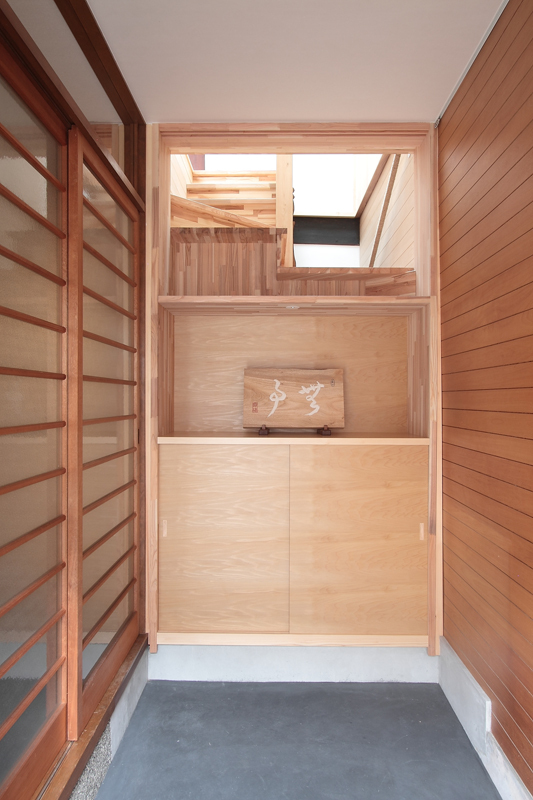 We started this design with two initial issues in mind, the roof leakage and the overly steep staircases. 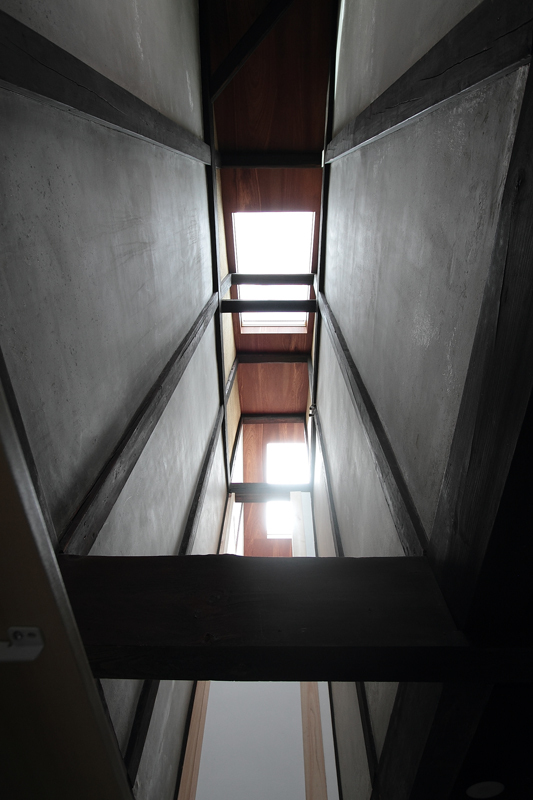 When we refurbished the roof we added two toplights to activate the existing unused void, called “Hibukuro”, above the kitchen and transform it to a pathway for sunlight. 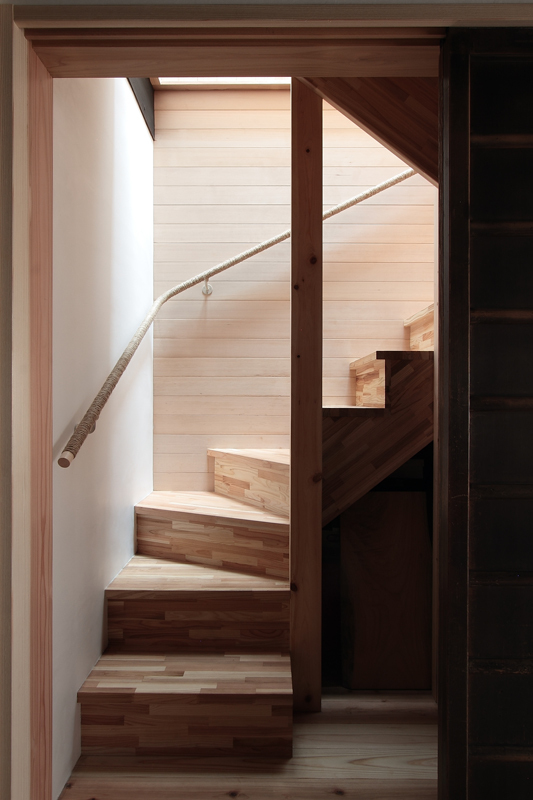 The staircase was converted to spiral to reduce its steepness and connect the entrance to the double height void above the kitchen, ensuring ventilation throughout. 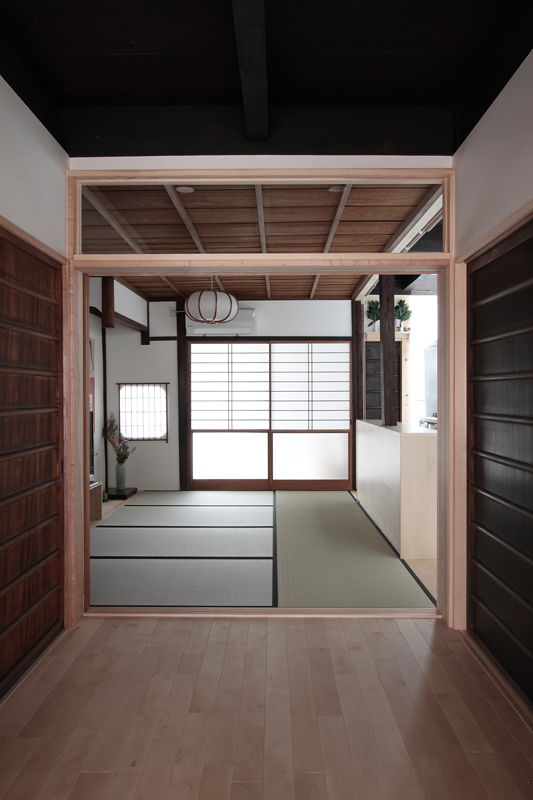 Our intention was to not only solve the initial issue, but to go beyond that. 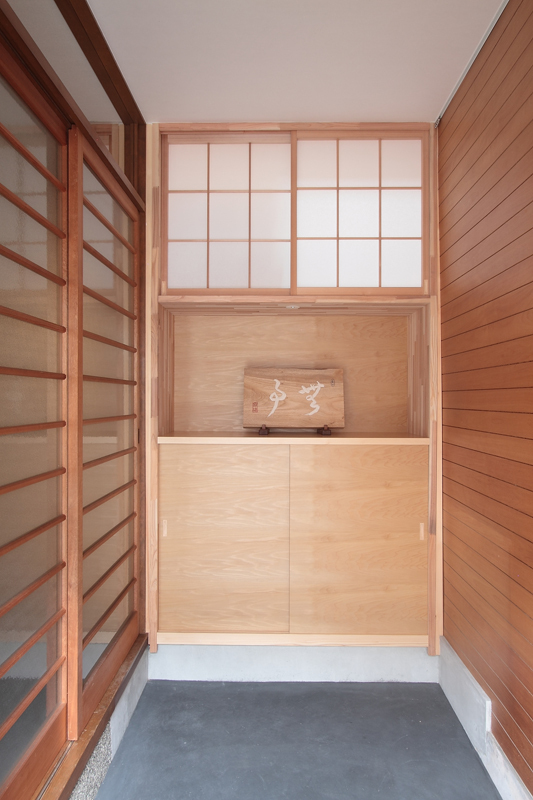 Overall, in this project we attempted to respect and preserve both the facade and Japanese rooms by carefully tuning the timber elements and wall finish to soften the contrast between old and new.